Thousands of possibilities… 3,528 peg holes of possibilities!!! I LOVE peg board. I have two sections in my studio of it, and I use it to hang tools, texture pieces and shapes for creating with. It is great stuff and I find that the pieces really do go back to where they came from, with very little variation. Good luck with yours, post what you do with it! 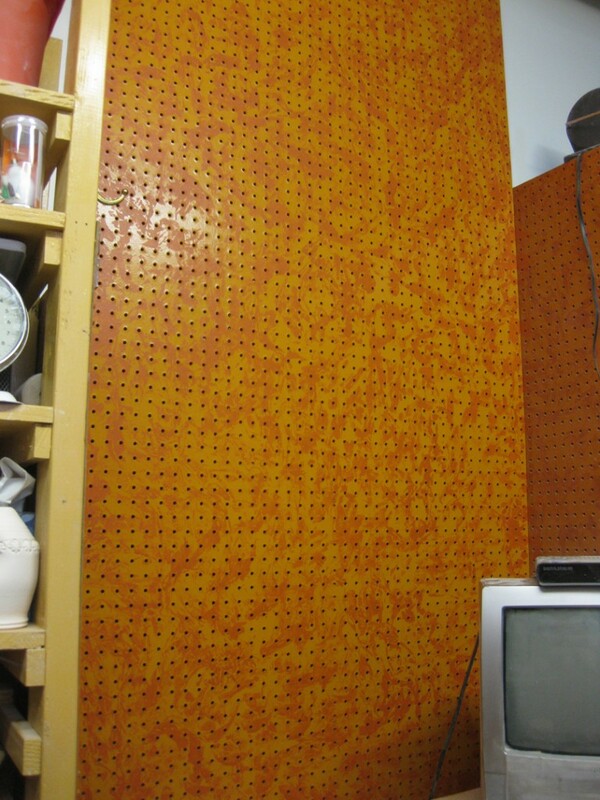 I’m glad to hear I’m not the only one with a “pegboard addiction.” I spent a couple hours today in the studio trying to figure out my “pegboard plan.” I will definitely post more pictures as it all comes together!